There are few Mac video players supports AVI which is a multimedia format introduced by Microsoft for Windows technology. If you would like to share an interesting AVI video to your friends with QuickTime or edit these AVI videos with iMovie, you can convert AVI to MOV on Mac OS X 10.9 (Mavericks). The reason is that MOV files are compatible with Mac OS While AVI file can't do such a good job compared to MOV. To solve this problem, what you need is a Mac Video Converter tool to convert AVI file to MOV format without compress the video quality. There are many kinds of Mac video converter software on market. One highly recommended program is Aimersoft Video Converter Ultimate for Mac, which is the right one Mac AVI to MOV Converter. It can convert not only AVI files on Mac, but also MKV, MP4, WMV, M2TS and FLV, etc. It also provides powerful editing functions and gives a full support to Mac OS X Mountain Lion and Mavericks. Sometimes the need goes far beyond converting itself. While it is true that there are some pretty easy options out there, it is also true that most of them will only let you convert files from one format to another and if you happen to need to edit them then you will need another software and this just make the whole process longer. As a solution for this, Aimersoft AVI to MOV Converter provides a set of tools that will come in handy when you want to take it a step further with your videos. It is not only about getting the file converted. There are many options that will allow you to convert files but it takes one great option to turn the process into a whole experience. Aimersoft Video Converter Ultimate for Mac has a clean interface and a careful design that will turn this ordinary task into a comfortable experience. It is not always about what you have but about how far can you go with what you have. Aimersoft Video Converter Ultimate for Mac takes it one step forward and brings you features that will make your life easier while you get the best of it. Customize and save your settings, convert multiple files at the same time, arrange them in the order you prefer or even merge them all together, and these are just a few of the great features that this AVI to MOV converter for Mac has. And as if these was not enough, you can work peacefully knowing that you will have no interruptions or annoying windows of any kind. Working with multiple devices of different operating systems has turned into the world’s current reality. Therefore if we carry our information on these devices, we need it to be fully supported no matter what its operating system is. Aimersoft Video Converter Ultimate was designed in order to fulfill this need, you will be able to use all of its tools regardless of the device you are using. Whether you are working on a PC or Mac you will still be able to get the best out of it without sacrificing your user experience. 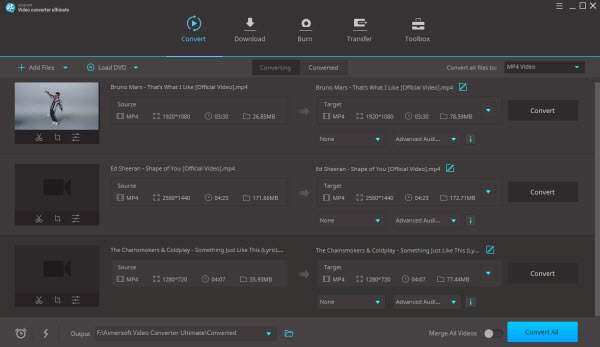 To the people who use Windows-based computer and also want to convert AVI video files to MOV format, just have a try on Aimersoft Video Converter Ultimate which is well compatible with Windows operating system (Windows 8 included). To open the AVI file(s) that you want to convert, you can click on Add Files located at the top of the window to your left, or in the middle of the screen, or you can also drag the files into the center of the screen. Choose MOV in the Output Format section to the right side of the screen. Select the location where the converted files will be saved by clicking on the […] button next to Output Folder: at the bottom of the screen. Then click on Convert and once the conversion is over, your MOV files will be ready in the folder you chose. This Mac AVI Converter is fast and stable for converting AVI video to MOV on Mac, it only need several steps to finish the conversion. As your need, you can also edit the AVI videos via the powerful editing functions. Just follow these simple steps to start the AVI conversion. Directly drag the AVI videos you want to convert into the interface of this program, or you can also import them by clicking the "Add Video Files" menu. Other ways to load files: Import the AVI movies by clicking on the [+] button, or click "File > Load Files" to choose the files you want to convert. After import your AVI files, you can select one of them to preview it first. 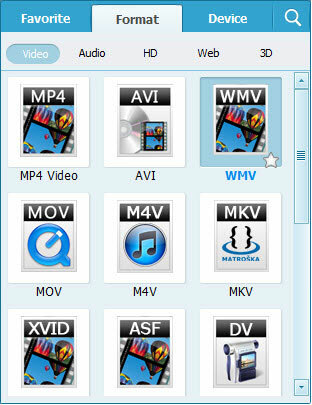 And then just click the device icon behind the video file to choose MOV as the output video format. You can merge multiple AVI videos into one by clicking" Merge All Videos". Mac Video Converter software provides powerful editing functions, such as Trim, Crop, Rotation and Video Adjustments. By clicking the different buttons you can achieve different functions here. For example you can rotate your AVI video with the Video Rotation on the left or on the right on 90 degrees, or just flip horizontal/ vertical the videos for a special visual effect. When ending all editing and settings, just press "Start" to convert AVI files. This program will do the rest perfectly for you! Of course there are other options along with desktop software. Usually online converters are the perfect tools in case you need to perform a quick conversion. 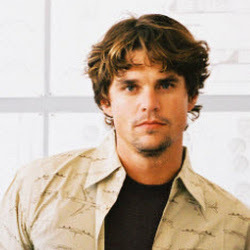 However, most of them have just some really basic options for handling videos with major downsides. These are some examples of online converters and how they lose when matched to their desktop counterpart. Convertfiles.com Convertfiles.com is a web service where you can convert any file. It works pretty easily since all you have to do is upload the file you want to convert and choose the output format. Another feature of this website is that you can also convert or download videos from other websites like YouTube or DailyMotion. Even though the whole converting process is quite simple, this is pretty much as far as you can go. There are no other options so that will leave you with the same file except it will be held in a different format. If you happen to be one of those users who care about the experience then you might want to stay away from this option since it is just a regular website. If you are looking for a sleek interface or at least something simple, YouConvertIt is probably the cleanest interface of the online services reviewed, but just like the previous option, its features are quite limited. Here as well, you upload the video you want to convert and you choose the output format that you prefer; then you enter the email address where you want to receive the link of the converted file so you can download it. But that is about it. Its brightside is that it does allow entering more than one email which makes it easier in case you want to share it with several contacts. This is as simple as it gets and as far as you can go, so forget about it if you want to change the properties of your video before converting, it is not an option if you use this website. Another option for online conversion of several file types of files besides audio is Online-convert.com. The process is the same: you upload the video you want to convert and then you choose its output format. As well as the first option, you can paste the link of a video from another website so that you can convert it. This website lets you access your DropBox account if you want to store the video in there instead of download it. Unlike the previous options, with this website you do have some useful settings however, they might be too basic for video editing. This is the only option that allows you to fix some settings of your videos but this is something you will have to do manually since there are no predefined settings. Once again, a pretty simple and service that looks like your average website. AVI is the file format created by Microsoft. As such, it is designed to be the file native to Windows Media Player. AVI is also the output file of almost all Windows-based video creator programs like the Windows Movie Maker. As such, it is directly playable with the inherent media player all Windows-based operating system, regardless their version. If AVI is native to the Microsoft Media Player, MOV is native to QuickTime. Everybody knows that QuickTime is the movie player of Mac products. It is present in Apple laptops and desktops, including the iPhone, iPad, and iPod. Downloading MOV files is more advisable if you're using an Apple device. This video file format is very similar to the industry standard MP4, which incidentally, is the most common and most preferred video format. AVI files are containers of different types of information, they can hold both audio and video and they allow for them to have synchrony but their main downside is that these files are extremely large and that makes it uncomfortable when users have to save them on mobile devices or even upload them to the internet, they leave no room for some other information users might need or want to keep. On the other hand, MOV files are significantly smaller compared to AVI files. While they work as containers too, their size is much more comfortable and it certainly makes it easier when it comes to sharing them online. Also, one of most important things about MOV is that it allows other information to be saved along with video and audio, such as text and animation, making it a powerful format when it comes to digital video editing. Aimersoft Video Converter for Mac is really versatile. It's a great software program. If you're a Mac user and you need a good file converter and a decent editor, this is it. Aimersoft Video Converter Ultimate is an awesome Mac video converter software that converts AVI to MOV format.